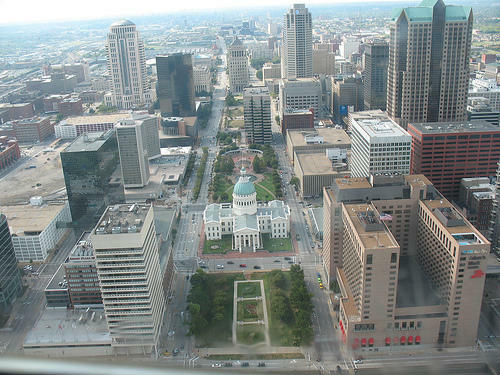 The St. Louis skyline taken from the Arch. For any community to grow and prosper, it’s important to open the door to new business and business expansion, to retain the talent we have, and make it a place in which people are proud and happy to live and visit. A key component to all of this is marketing and then delivering. 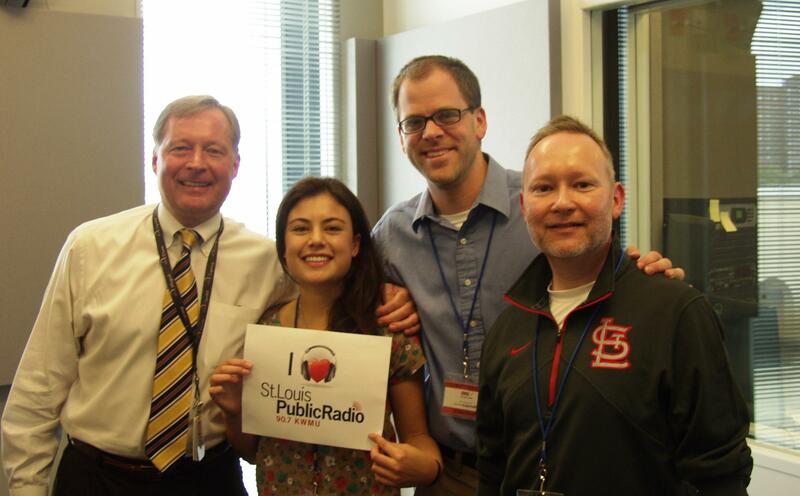 Join host Don Marsh as we talk about branding St. Louis. The discussion about the negative and positive aspects of St. Louis was wide-ranging as were ideas for creating a slogan for the city. Brian Hall pointed to the immense opportunity to use marketing campaigns to convince Americans that there are some really interesting things happening in the city. The guests also talked about the varying perceptions of those who live in the city versus the people who visit. "I find it a really interesting dichotomy that when I look at attitudes and perceptions of our research of those people who travel here and have a great time, they’re actually oftentimes superior to our own residents’ attitudes and perceptions concerning what they have here right here in front of them,” said Hall. We had a lot of interaction with listeners calling-in and through Facebook and Twitter who submitted their ideas and thoughts about branding St. Louis. The conversation is continuing on Twitter by using the hashtag #brandingSTL. Here is just a small sample. “St. Louis... It's a Great Place to Start"